When Anna and I went to Disney World for our 2016 Disney Princess Half Marathon, we wanted to stay on a Disney resort property to take advantage of the buses and convenience. After all, we wanted to visit the parks too! 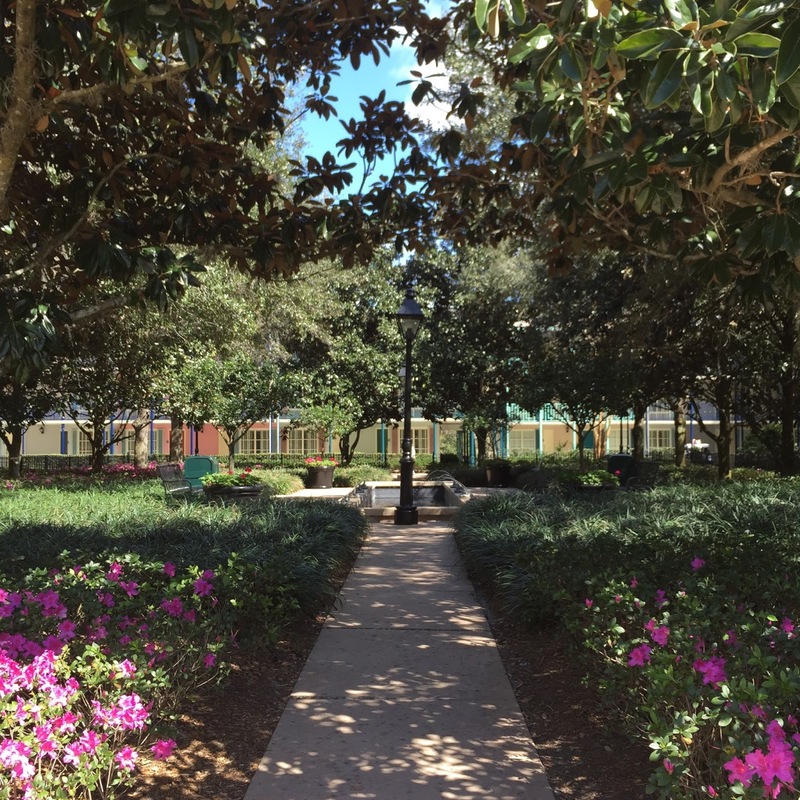 After a bit of research, we landed on Port Orleans Resort French Quarter, a "moderate" Disney resort. As for the rooms, they were fine. We had a room with two queen beds. The room in general was pretty standard and basic. The bathroom (toilet/shower) was tight and tiny, and we did have a dirty washcloth hanging out upon arrival. But the dressing area/vanity was large, perfect for two girls sharing a room, and the bed linens, while not brand new, were clean and comfy. I slept like a rock! So overall, the rooms were just what we needed, and very quiet and peaceful too. The pool area was large and looked fun! Again, I liked the smaller size of this resort because it meant less walking between points of interest. Everything was close to the pool, bus stop, lobby, restaurants, etc. In addition, you could actually park pretty close to your room, which seemed so unlike a resort, right? BONUS! Easy access to our car. They even gave us free late checkout for 1pm, because it was available for our room specifically. While my main point of reference is Disney's Grand Floridian (reviewed here), I did notice that as you move away from the Deluxe resorts, the characters and themes get stronger and more cheesy. But I think that's to be expected, and I don't think it's off-brand because it's Disney! More magic, right? My biggest regret? Not spending more time at this resort! 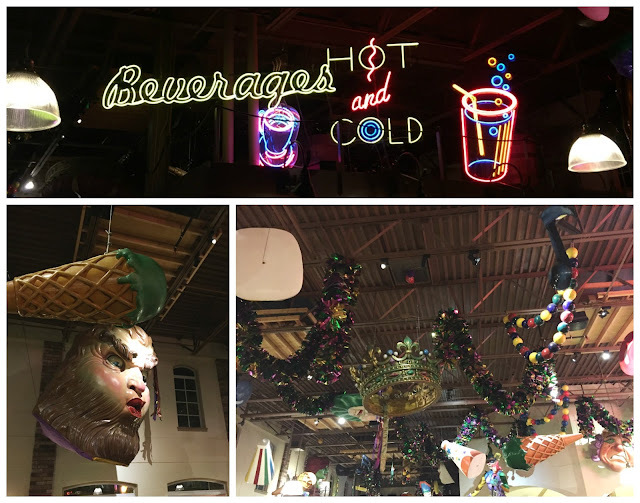 We visited the lobby, and Sassagoula Floatworks and Food Factory for a dinner, (and beignets!) but I didn't run on the grounds (or take a carriage ride!) and get over to the Riverside resort, nor did we take the ferry to Disney Springs, the rebranding of Downtown Disney. But we did pose with the alligators! I would stay here again without thinking twice! Do you have a favorite Disney World resort?